Any past traumatic experience with love can cause emotional blocks, whether it be a particularly painful break up or watching your parents get divorced. What emotionally closed off people have in common may surprise you. One huge sign of being emotionally unavailable is a new person in your life does not ask any questions about you. If your partner doesn’t seem curious about your life, it could be a sign that they don’t actually want to let you in, preferring to stay isolated. Read more of NYC Matchmaker, Julia Bekker’s thoughts she shared via Instagram with Romper. You know the saying: expectation leads to disappointment? I’m certain your elders warned you not to expect anything from anyone because you’d get let-down. Here is some advice on how to date without the checklist and expectations. Below is the link to Julia Bekker’s latest post to the POF Blog. 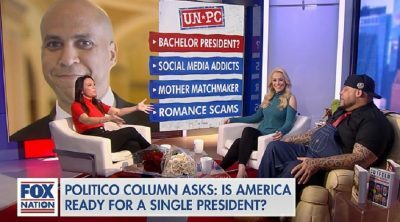 EXCLUSIVE: New York City Matchmaker and Dating Expert Julia Bekker of Hunting Maven on Fox Nation UN-PC talks with Tyrus & Britt McHenry about the first bachelor President. She asks for Cory Booker to give her a call if he is looking to get matched with a wife. See the New York Matchmaker on Fox Nation. 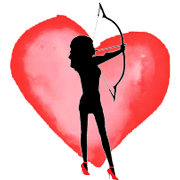 Read more in Elite Daily quoting NYC Matchmaker Julia Bekker ..
What happens if you or your partner is falling in love but the feelings aren’t mutual ? Getting on the same page if you are falling in love can be a step by step process. 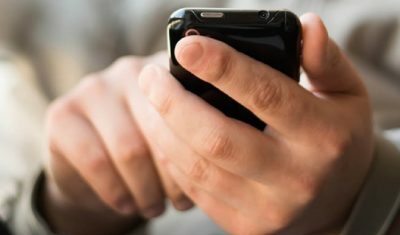 Here is an article about the signs to help you tell. Just when you thought we might finish the year without another dating trend, we’ll not so fast. Scrooging is the latest dating trend for Christmas 2018. The phrase was originally coined by eharmony referring to someone dumping out of a relationship to avoid buying Christmas presents..
Read more in NY Post quoting NYC Matchmaker Julia Bekker ..